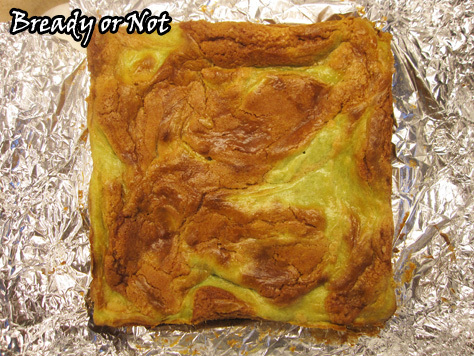 I’m presenting many wonderful matcha baked goods this month, but this one, dear readers, is the most delicious. The most divine. The most appropriate way to celebrate the release of Call of Fire. My husband takes most all of my baked goods to work. 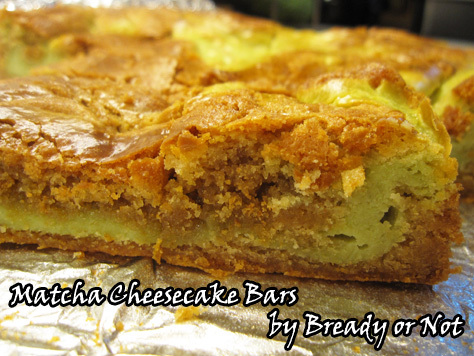 These Matcha Cheesecake Bars earned a rare and vociferous response. Yeah. This recipe is a winner. 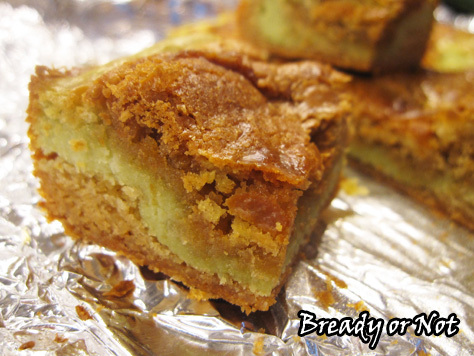 Plus, these bars are ridiculously easy to make. You make a crust. Mix up some green cheesecake. Do some layering and swirling. Mind you, I’m not a big cheesecake person, but thanks to the cookie-like crust, these are not rich like standard cheesecakes. 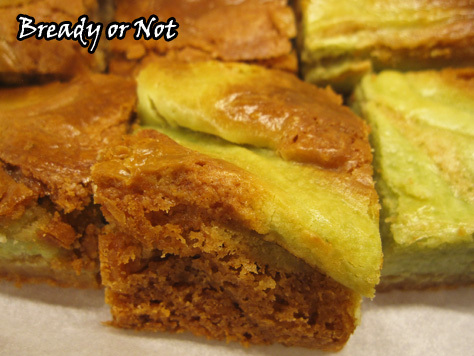 You really get the best of everything here, and the matcha powder adds a wonderful fresh flavor and a lovely green tint. I plan on re-making this with a variety of teas. Look for another version of this recipe in the coming months! Adapted from Every Day Dishes. 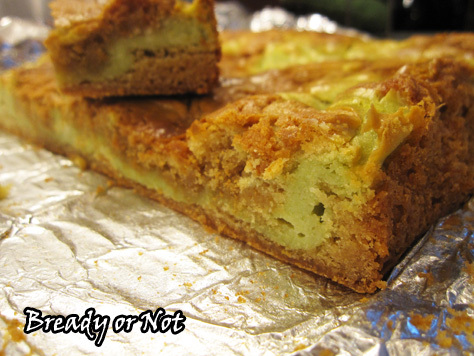 This incredible recipe will please cheesecake lovers and convert non-cheesecake eaters as well. Note that different green teas may produce different results in taste and tint; sweet matcha powder will obviously contain more natural sweetness, but the recipe turns out well when standard matcha is used, too. Use an uneven spatula to smooth out HALF of the batter in the prepared pan. Place the other half in another bowl for now. Clean the mixing bowl before the next stage, if desired. 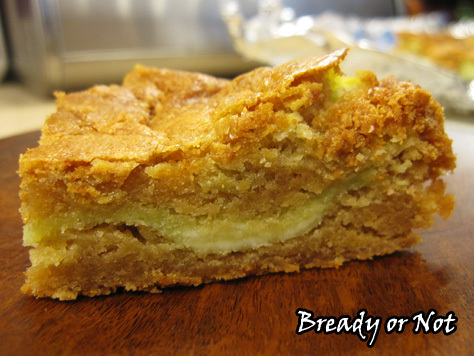 To make the cheesecake layer, beat together the softened cream cheese, sugar, butter, flour, and matcha powder. Mix in the egg and vanilla until it is mostly smooth. Bake for 45 to 55 minutes, until it passes the toothpick test in the middle. Let cool at room temperature for an hour, then place in fridge to continue chill and set for another hour or two.